While many employers are reporting low double-digit percentage hiring increases, some are projecting even higher increases. With 4000 planned hires in 2019 versus 3000 in 2018, KPMG is experiencing a 33.3% increase. “The entry level market for new associates at KPMG continues to remain strong,” said James Powell, partner in charge of Campus Recruiting and University Relations for KPMG. Technology talent firm Revature is another example, with an increase of 50% YOY from 2000 to 3000 hires in 2019. “As we look toward 2019, competition for entry level talent has become nothing short of a ‘war for talent,’ with top companies heavily investing in marketing, recruiting, benefits, and training to attract and retain entry level talent,” said Joe Vacca, Chief Marketing Officer at Revature. 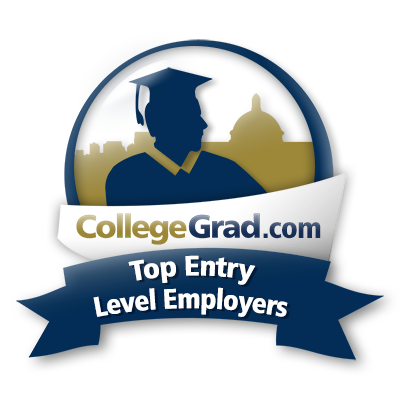 CollegeGrad.com is the #1 entry level job site on the Internet and is the leader in the field of entry level job search since 1995. Brian Krueger is CEO of CollegeGrad.com, author of the best-selling book for entry level job search, College Grad Job Hunter, and former VP Global Talent Acquisition for Amazon. Brian is available for interviews and additional quotes upon request.